A distinctive résumé template that uses large headings in the smart Garamond font and a thick grey border to make a strong impact. Your name is presented at the top in capital letters and a large 36pt font style to help your résumé stand out from the pile. Each section is then headed with a larger font size heading once more in caps and underlined, helping the information to be easily scanned and digested. Although résumé/CV template looks very smart, it is incredibly simple in design and with a classic font used throughout, it makes the smart professional impression that you want to achieve. Bold black CV template	Overall rating:	3.5	out of 5 based on 2	reviews. 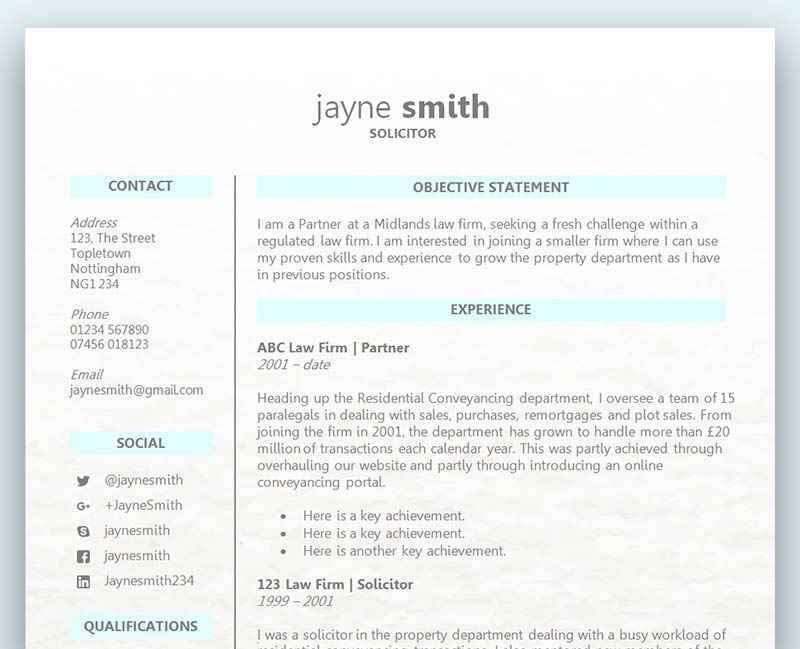 A fuss free CV or résumé template that packs a punch without being over the top. This template has a neutral coloured beige border which can just as easily be printed in greyscale for a smart soft finish if you don't have a colour printer. The sections are tidy and well organised, allowing prospective employers to scan through and find the information that is important to them. The section at the top can be edited to read either 'Objective' or 'Summary' if you like, or can be used to list key achievements relevant to the role you're applying for. This can be a bit of a showcase for you to really hammer home to your would-be employer why you're the best candidate for the role - but don't go too wordy! Finding the perfect CV template was easy: but filling it in so your target employer notices your application requires a little more effort! You need to remember that employers see hundreds of CVs for every job vacancy they advertise, so there’s a lot of competition. When your would-be employer is sifting through the pile, they’ll have just one thing in mind: the job spec. At this stage, all they want to know is if you meet their minimum requirements as set out in the job advertisement, which might be for example, a degree or a particular amount of experience. Recruiters typically do a first sift-through all the applicants and get rid of any CVs that don’t make the cut, before looking at prospects in a little more detail. So what can you take away from this? When you’re completing your CV template, the number one rule is to ensure that they can see you’ve met their criteria within around 3 seconds. This applies to both your CV and your covering letter. Don’t bury the information and make it difficult to find – use the ‘personal statement’ or ‘objective’ statement at the top of your CV to spell out that you’re exactly what they’re looking for. I have an honours degree in Business (2:1) from the University of Leicester, together with 18 months experience in a management role at Costa Coffee. Although my degree grade was 2:2, I have substantially more experience than you are looking for, having spent more than 4 years in a management role at Costa Coffee. Once you’ve tackled the criteria set out in the job spec, focus your CV on relevant qualifications and experience, together with any achievements. If you spent time in a role that wasn’t all relevant, focus on the aspects of the role which were. If you have zero relevant experience, focus on relevant qualifications. Where applicable, you could mention how in previous positions you have quickly learnt the job and hit the ground running. You could also mention any transferable skills.